BATON ROUGE, LA – Feb. 1, 2019: The Greater Baton Rouge Industry Alliance, Inc. (GBRIA)’s survey of its members shows significant increases in expected capital expenditures and moderate increases in both company and contract employment for industry in the next six months. Production levels are mostly expected to remain level. The association comprises 60 petrochemical, paper, pharmaceutical, storage terminal and other industrial facilities located in seven parishes around Baton Rouge. The survey is a forward looking index similar to an index the CEO’s of The Business Roundtable report. 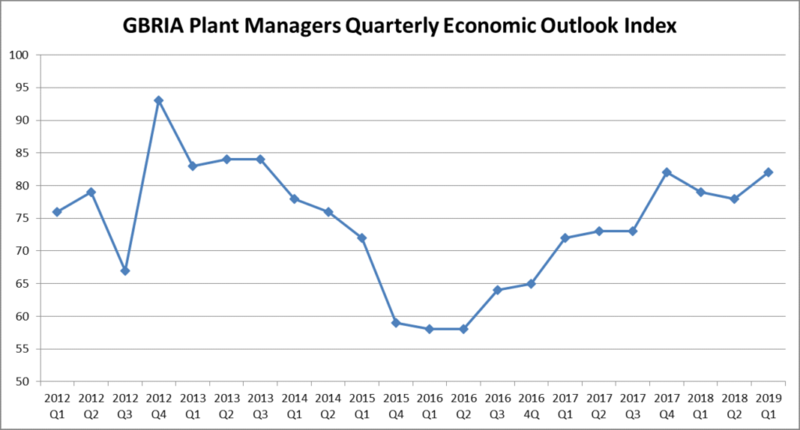 Plant managers of 29 sites, or 48 percent of GBRIA members, weighed in on what they believe the next six months hold for their plants. The current GBRIA index result is 82, an increase from 2018’s results. The Index value is calculated as a diffusion index centered on 50 and ranges from negative 50 to positive 150. Values over 50 predict an expanding economy and values below 50, a contracting economy. Now is the time to SUPPORT investment, not fight it. The news about Georgia Pacific’s Port Hudson facility was difficult to hear. Whenever a long-standing community supporter makes decisions like this, the loss affects company employees. It also results in a ripple impacting contractor and supplier jobs that are essential to making these facilities go. Even with yesterday’s disappointing news, hundreds of our family members, neighbors and friends in the Capital Region can begin the next chapter of their working lives now. These new opportunities are available because companies are willing to invest in this area of Louisiana. 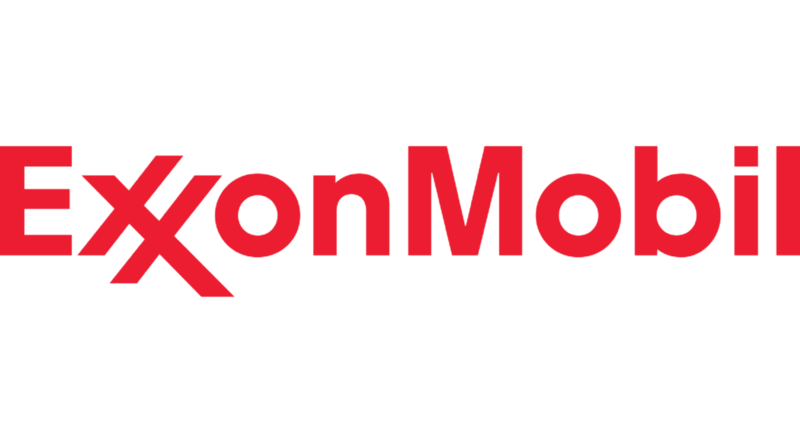 Within hours of yesterday’s news breaking, ExxonMobil contacted our organization to inform us that they are interested in considering some of the affected engineers and operators for positions at the company’s sites in East and West Baton Rouge parishes. Yesterday, Dow Chemical announced that it is seeking applicants for a new apprenticeship program and there are many other projects underway in the area at facilities such as Methanex, Wanhau, and others in the region. Companies, like ExxonMobil, need skilled professionals, because they want to invest more in the Capital Region. They are working with our community college and university systems to train more and more workers, who are building their careers at area facilities. Alexander Graham Bell said, ‘When one door closes another door opens, but we so often look so long and so regretfully upon the closed door, that we do not see the ones which open for us.’ Now is the time for us to see the open doors and stop arguing about attracting investment to the Capital Region. As a community, we need to embrace new investment, because it creates opportunity out of difficulty. GBRIA is here to help and support in what way we can. We encourage affected employees, contractors and suppliers to contact us. The Greater Baton Rouge Industry Alliance (GBRIA), Inc. supports the half-cent sales tax for the MOVE EBR Infrastructure Enhancement and Traffic Mitigation Plan that will appear on the ballot on December 8th. The program will begin on April 1, 2019, and continue for 30 years. Food and prescription drug purchases are exempt from the sales tax and funds will be dedicated only to projects included in an approved project list. These projects will include additional lane capacity, safety, and intersection improvements; upgrades to existing corridors; sidewalks, drainage, bike paths and landscaping; advanced traffic management systems; upgrades to existing signals with increased fiber connectivity and federally matched transportation dollars. GBRIA believes infrastructure improvement is crucial to the community’s economic growth. Current traffic issues create problems within the industrial workforce as workers and shipment deliveries must factor time in traffic for regular commutes. Plants had to adjust shift schedules in order to combat issues with peak traffic times. This program will create 2,980 new jobs, save drivers $249 annually and add $1.4 billion in value added to the economy. Visit www.movebr.net for more information on the Move EBR program. “The Louisiana Board of Commerce & Industry (BCI) took another important step for the future of the Capital Region. By efficiently approving several Industrial Property Tax Exemption Program (ITEP) applications and renewals today, the Board has provided certainty and predictability for companies looking to invest in the state of Louisiana and the Greater Baton Rouge area.